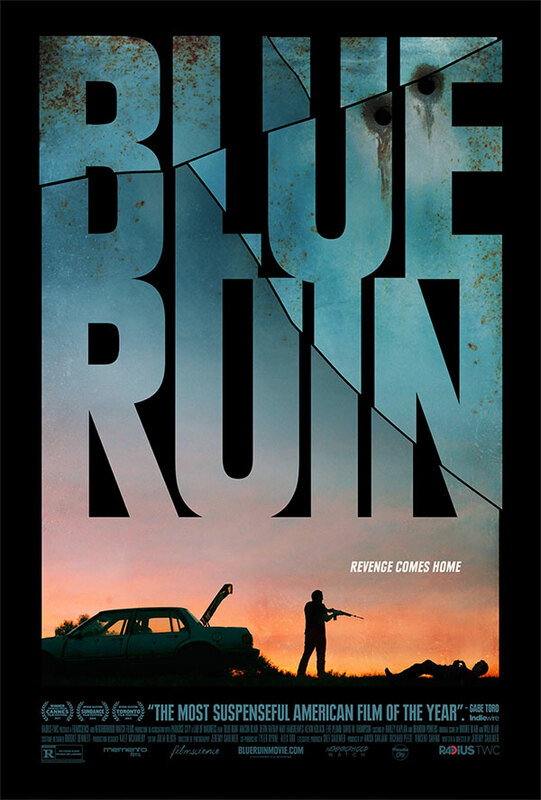 Blue Ruin is an independently produced gritty revenge film that was funded through Kickstarter last year. In the Kickstarter listing, a beach bum named Dwight is described, whose quiet life is turned upside down when he embarks on an assassination mission to avenge murdered family members. But Dwight possesses none of the slick panache that we associate with revenge protagonists. He’s a socially awkward, inept killer at best. What follows is a brutal fight to complete his grisly mission, survive, and protect his estranged family. Blue Ruin is set in Virginia and Delaware, and the entire movie was shot in these two states with a budget of around $40,000. It rejects many of the genre conventions of Hollywood and feels inspired by Quentin Tarrantino and the Coen brothers. There is no nimble avenger like Liam Neeson in Taken to root for here, nor is there a remorseless killer who is vilified. Dwight is a deeply-disturbed guy who’s willing to go to any length to tactlessly dispatch his targets. He lives out of a rusted blue Pontiac, which the title is a reference to, and he has nothing to lose. It’s inspiring to see a movie that works so well and looks so good be executed with so little. The highest grossing movie this year has been Transformers: Revenge of the Fallen, which is a painful example of how profitable and unimaginative Hollywood sequels can be. Blue Ruin is a refreshing break from that, and proof that great movies came from anywhere, including Kickstarter. If you enjoy independent film, this is easy to recommend. It challenges many of the conventions of the revenge genre and has a satisfying conclusion. There’s no small amount of pain and grit in this movie, but these emotions are punctuated by moments of dark comedy. Be warned: there will be blood.